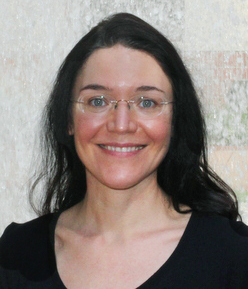 Dr. Maria Irwin is an Assistant Professor for the divisions of Cardiothoracic Anesthesia, Congenital Heart Anesthesiology, and Pediatric Anesthesiology. She earned her medical degree from St. Petersburg State Pediatric Medical Academy and her PhD in Clinical Toxicology from the Medical Academy of Postgraduate Studies in St. Petersburg, Russia. Dr. Irwin continued her studies in Columbus, Ohio, at Riverside Methodist Hospital where she interned. She then completed her residency in Anesthesiology at the University of Florida. Her fellowship in Combined Pediatric and Pediatric Cardiac Anesthesiology was completed at Boston’s Children’s Hospital. Dr. Irwin is medically licensed in both Florida and Massachusetts. She is a Diplomate of the American Board of Anesthesiology and holds an ABA, Subspecialty Certification in Pediatric Anesthesiology. She is also a member of many professional societies such as the Congenital Cardiac Anesthesia Society, Society for Pediatric Anesthesia, American Medical Association, American Society of Anesthesiologists, and the Florida Society of Anesthesiologists. Irwin M. Neonatal anesthesiology, in Pediatric Anesthesiology Board Review, ed. Matthes K, Laubach A, Wang E, Anderson TA, Oxford University Press, 2014.